About Technical Interview: In the process of Recruitment for any software industry, Technical interview plays an important role. Those who have cleared the written test will be preceded to the Technical Interview. Only those who clear this Technical Round will be eligible to attend the Final round i.e HR interview. So, It is essential to clear the technical round so as to succeed the interview. you can use these Technical Interview Questions and Answers for Freshers to prepare yourself ready to the interview process. The technical round may be conducted in different forms. Written to test the technical knowledge and programmability skills. May be oral to test the complete technical capability. The interview questions differ from one company to another company. Some MNC’s provide previous technical papers which will be helpful for the preparation. Here are some Technical Interview questions and answers according to their categories. Technical Interview is very crucial to candidates of core branches like CS/IT. The technical for them include many sections such as C, Java, CSS, HTML, DBMS, C++, .net etc. It involves all the programmable languages and core subjects. Does C++ support multilevel or multiple inheritances? You can download pdf of Technical Interview Questions and Answers for fresher’s from the following links. 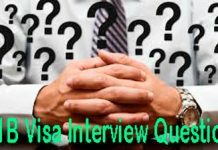 Aditionally you can save the interview questions in this post as pdf format. press the ctrl+p button and select the save as pdf option to save this interview questions post in pdf format. Cover all the topics and concepts. Never skip any topics as we don’t know what the interviewer will ask. Whatever the questions you answer, answer them with confidence. Confidence matters than number of questions answered. Along with preparing the questions from above link be confident and get success.